If you know what you’re looking for, finding it is usually pretty easy. 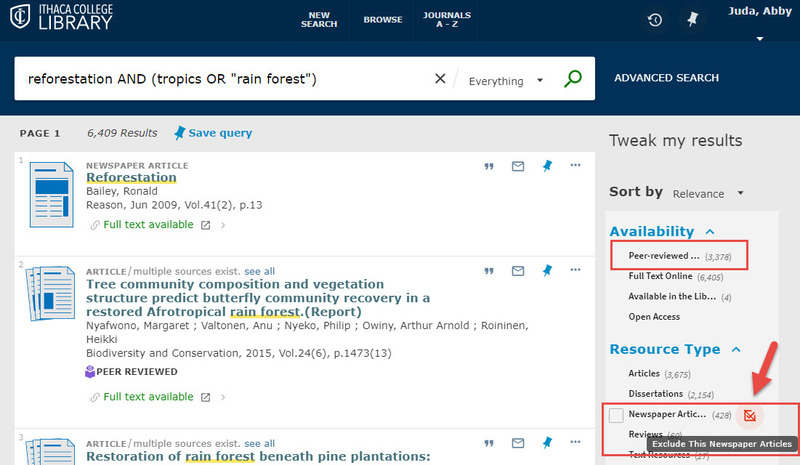 Many times, all you need to do is enter the title or part of the title (preferably in quotes) in the Library Search box on the Library homepage. If the title isn’t very distinctive (“Introduction to Psychology”), you might also want to include the author. If you're still not finding the item you need, it's probably time to Ask a Librarian. When you start researching a topic, you'll want to think about the concepts that are involved. In addition to the words that are part of your topic, think about other ways you could express them, or other related ideas. If you’d rather not worry about all those ANDs, ORs, and parentheses, you can use the advanced search and enter your terms on multiple lines. Advanced search also gives you options for limiting by material type, language, and date. Library Search searches a LOT of data sources, so it will often return a huge number of results. Fortunately, it provides simple tools for limiting your results in the "Tweak my results" section. One of the most useful limiters is Resource Type. If you’re looking for a book, you can limit to just books as described above. 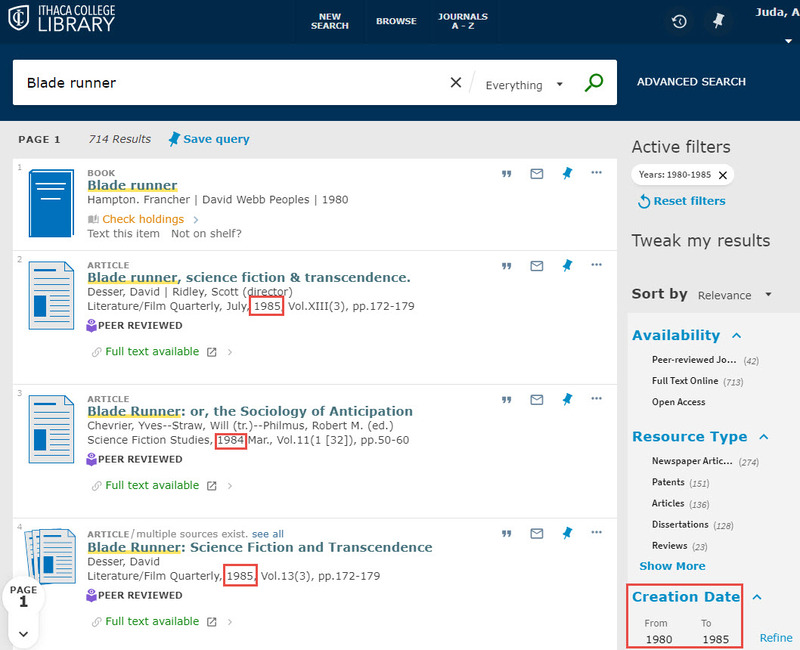 Notice that only the top five resource types are shown on your results page, so you may have to click “Show More” to see the type you’re looking for. You can also exclude resource types by clicking on the red icon that appears to the right of the resource type when you move the cursor over it. If you’re doing scientific research, for example, you might want to exclude newspaper articles from your results. Another handy shortcut for academic research is to select just peer-reviewed journal articles. Another useful limiter is “Creation Date.” For instance, if we wanted contemporary reviews of the movie Blade Runner, we might limit to our search to a creation date in the 1980s. Sometimes you might find one or two items that are great for your topic, but can’t find any more. One way to address this situation is to use subject headings. Look at the subjects listed for one of your best sources and try adding these to your search. Another way to leverage a few good sources to find more sources is to examine their bibliographies. These can point you to important older research on the topic. 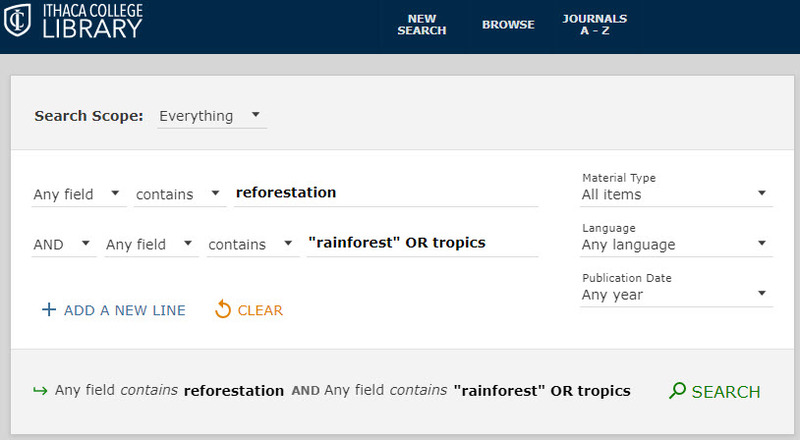 Many databases, including Library Search, will let you search for sources that cite a known source. So if you have a good paper, try clicking on the “citing this” link to see newer sources. For most library searches, Library Search should be fairly effective. But sometimes you may find that your subject is not well-represented in the database (e.g., music) or you may just want to go deeper to see what else might be available. The Library's Databases page provides an alphabetical directory to all of our databases. 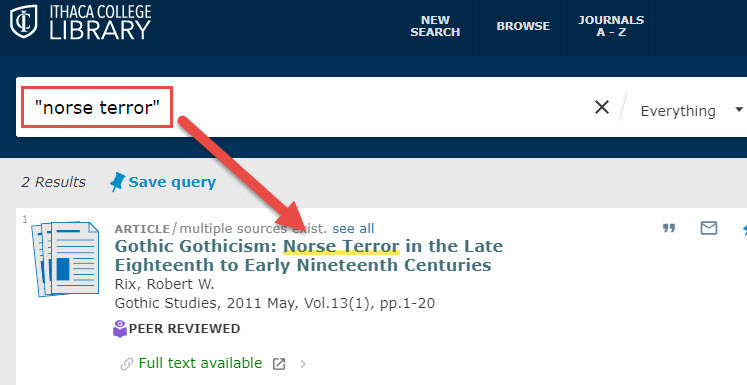 In Library Search, there should always be a link to get you to the full text if the source is available online. 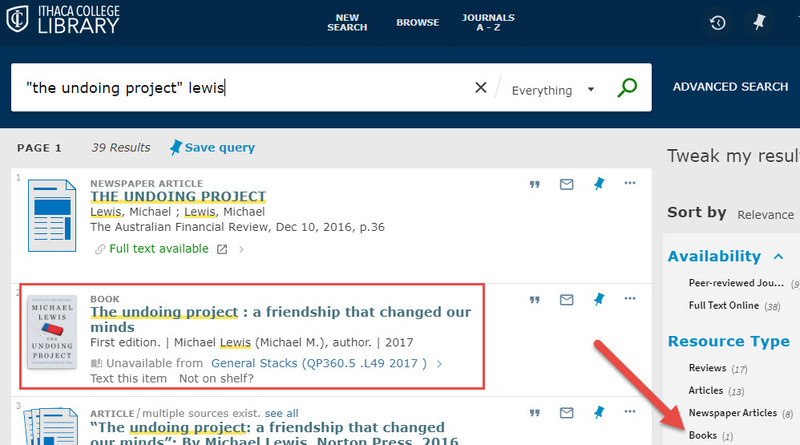 Most other library databases will include "Get It" links that allow you to easily check to see if the Library has access to the article you're interested in. Clicking on "Get It" will open a new window with information about the IC Library's access to the article. If you're lucky, you'll see the full text of the article right away. If you're not so lucky, you'll see an invitation to try Interlibrary Loan.